There have been great advances in CBD hemp oil product development over the last few years, mainly in the dietary supplement and beauty care segments. There are now dozens of different types of CBD hemp oil products and brands. Are you looking for a dietary supplement, or a beauty product? This one should be easy. Are you looking for CBD for nutritional value, or for a CBD-enhanced beauty product? How much CBD are you looking for? 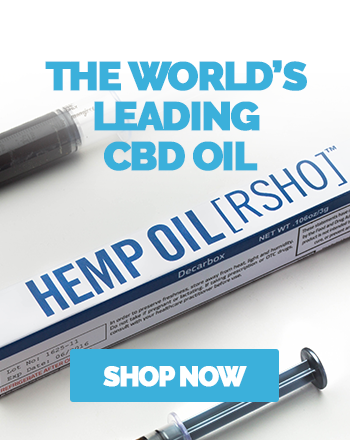 CBD hemp oil dietary supplements vary greatly in CBD concentrations, from as low as about 1 mg of CBD per serving, all the way up to 80 mg or more per serving. This wide range and variety of options allows you to find the amount of CBD that you prefer. CBD dietary supplements are clearly marked with suggested serving sizes, as well as the amount of CBD per serving. This way, you can easily determine how much CBD you are getting. Some products, like Dixie Botanicals Dew Drops ™, have a relatively low amount of CBD per suggested serving, while others, like Real Scientific Hemp Oil ™, have some of the highest CBD per suggested serving available. How much CBD should I start with? When it comes to CBD, a little tends to go a long way. Many people are happy with a few milligrams a few times per day. Additionally, CBD dietary supplements tend to increase in price as the amount of CBD increases. With this in mind, we suggest starting with a low concentration supplement and then working your way up to more concentrated product if needed. What type of CBD supplement would you enjoy most? With CBD, you have a lot to choose from. Most CBD supplements come in a variety of flavors, such as Dixie Botanicals Dew Drops ™ in cinnamon and peppermint flavors, and there are also great products like CanChew ® Gum, which delivers CBD in delicious chewing gum. These are just a few examples of the wide variety of CBD products available. To get a full idea of the CBD supplements available, visit the Medical Marijuana Inc. Shop. If you’re not looking for a nutritional supplement, don’t forget about your hair and skin. There are great CBD hemp oil products in the beauty category available too, from shampoo and conditioner to skin moisturizer. You can get a look at some of them here. If you’re interested in CBD, but you don’t know which product is right for you, then reach out. At Medical Marijuana Inc., our customer service team is happy to answer your questions and provide any education you need about CBD hemp oil products. You can reach our customer service team at (844) 710-6562, or contact us at [email protected].